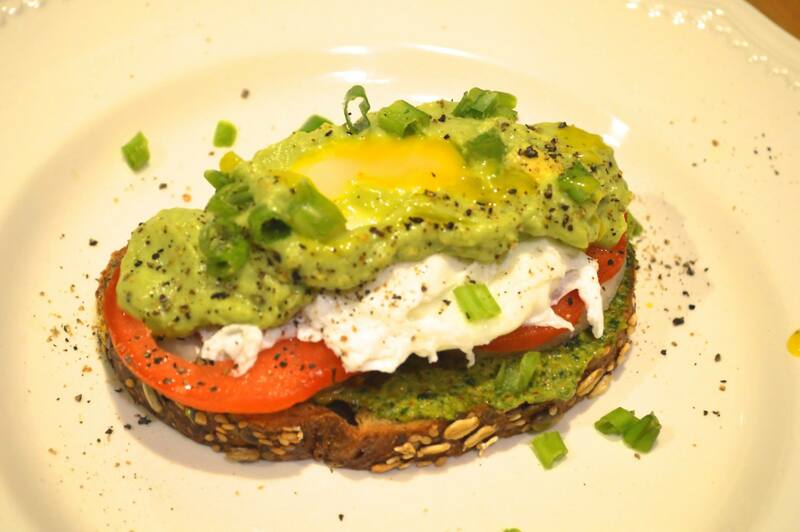 I’m no eggspert (sorry, I had to) but this dish may just be my new favorite breakfast item! 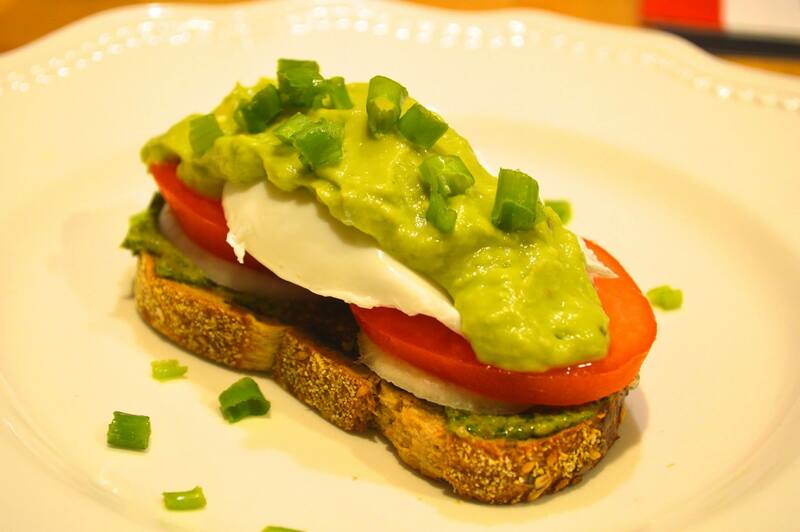 I’m a huge huge huge avocado fan and the cilantro mint pesto coupled with the zesty avocado ‘daise worked so well. Not to mention, it’s super easy and quick! 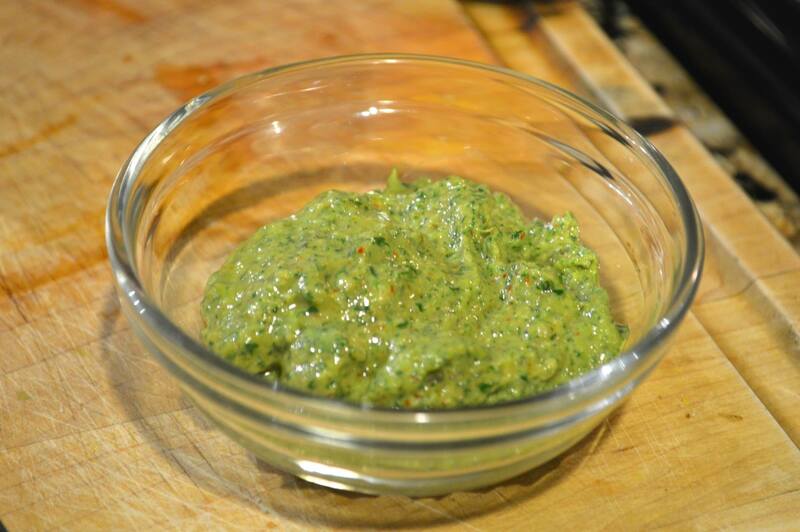 Blend all ingredients together in a food processor until a chutney-like consistency is reached. 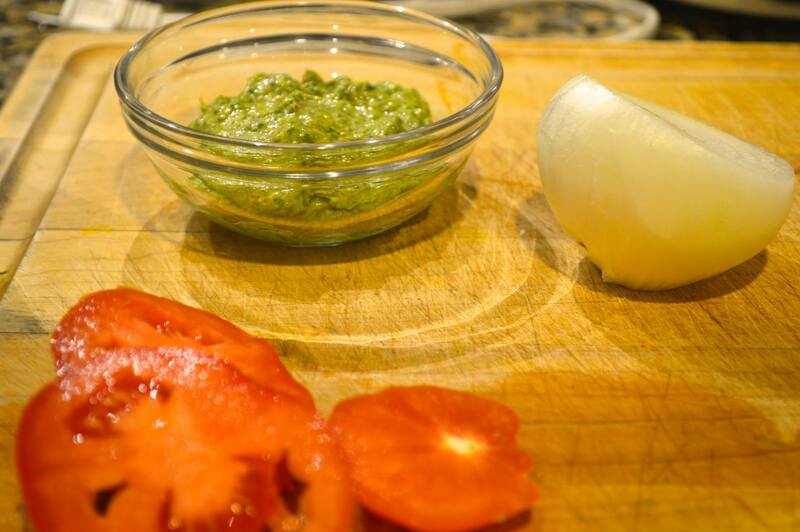 Blend all ingredients together in a food processor until a thick liquid is formed. Spread your pesto on your bread..I used a slice of whole grain bread from Trader Joes (mainly because we didn’t have English muffins at home) but feel free to use any bread you like! Garnish with Green onion, and enjoy! Thank you April! 🙂 The thin kitchen looks amazing! Can’t wait to try some of those recipes!